It’s Day 2 of Ex-Pat Week — WNYers living out of town sending us their finds! An advantage of watching movies and television series on DVD over live-streaming is often the extras. 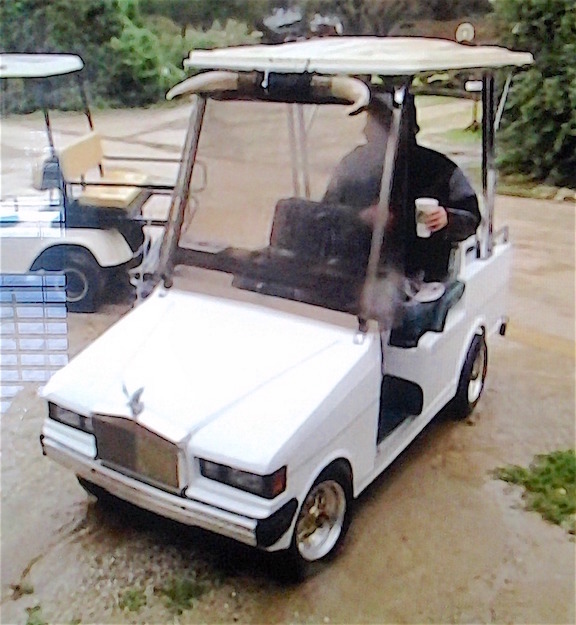 That’s just where we spotted native Buffalonian David Milch driving this souped-up golf cart on the set of the HBO series Deadwood. If you haven’t seen Deadwood, created (and largely written) by Milch, we highly suggest it… with the caveat that the language might not be suitable for the timid, but it’s probably okay for most native Buffalonians who, you know, get out once in a while!